We commonly associate post-traumatic stress disorder (PTSD) with combat injury and victims of assault, but motor vehicle accidents are also a leading cause of PTSD. 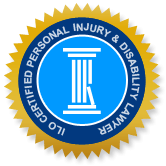 Accident victims who were seriously injured in a motor vehicle accident or who witnessed someone seriously hurt or killed in an accident, may suffer PTSD symptoms as a result. In fact, recent studies suggest that about ten per cent of victims of serious car accidents develop post-traumatic stress disorder. In a 2016 trial, Uppal v. Judge, a man sought damages arising from four car accidents occurring between July 2009 and December 2014, and the four related proceedings were heard together. Liability was admitted for three of the accidents and the fourth defendant was also found liable for the remaining accident. Bhupinder Singh Uppal, the injured plaintiff, had pre-existing physical and psychological injuries arising from at least nine previous motor vehicle accidents, and these injuries complicated the judge’s assessment of the impact of the four accidents and the determination of damages. Also challenging, in the determination of damages, is the fact that the plaintiff had difficulty remembering the details of his earlier collisions and his state of health after the accidents. His poor memory was believed to be due to his psychological injuries. Given the sheer number of previous accidents, one might assume that the injured man played a part in causing the accidents and his resulting injuries, but this is untrue. The plaintiff was simply very unlucky. The accidents prior to 2009 typically occurred when other drivers violated traffic laws and caused a collision. These accidents resulted in various injuries (and re-injuries) to the plaintiff, notably concussive brain injury, and back, neck and knee injuries. Prior to the first of these accidents, Mr. Uppal was physically active and enjoyed many outdoor activities, including avid gardening. Medical assessments, prior to his last four accidents, diagnosed the plaintiff with chronic pain syndrome, particularly affecting his lower back. His psychological injuries included sleep deprivation and fatigue, depression, anxiety and memory problems. He also experienced tinnitus (ringing in the ears) and dizziness. His symptoms limited the amount that he was able to work as well as his day-to-day activities. In 2007, the plaintiff’s wife told a neuropsychologist that her husband’s mental and physical health had not yet returned to the level prior to the first accident in 2001, and also, his ability to concentrate, memory and irritability worsened with each successive accident. In July 2009, the first of the four accidents occurred when Mr. Uppal’s Mercedes was rear-ended when he stopped for a vehicle turning left. The accident aggravated his back, neck and shoulder injuries, but also caused recurring nightmares. He was unable to return to work for some time, but was feeling better until another accident occurred in May 2010. This time, the plaintiff’s car was totalled when struck by another vehicle while he was attempting to turn left out of a mall parking lot. The other driver was found to be entirely at fault for the accident, which Mr. Uppal testified as “one of the worst accidents I’ve had”. The accident caused numbness and pain in much of his body and increased the pain where he had been previously injured. It also negatively impacted his mobility and brought back his frequent nightmares. The third accident occurred in June of 2012, when a van made a U-turn and collided with the plaintiff’s vehicle while he and his family were on their way to a funeral. Mr. Uppal testified that he was not able to work after this accident; it worsened his previous injuries, particularly his tinnitus. His nightmares also returned, and he became more irritable and was unable to help with household chores. Then, in December 2014, another driver ran a red light and crashed into the plaintiff’s car. Although this accident resulted in no new injuries, the plaintiff’s existing injuries were again aggravated. At this time, he took a job as a sales manager and estimator for a firm, although he admitted that he was not feeling very well and needed pain killers and anti-inflammatory medications to help him cope. Clearly, the number of accidents and injuries sustained by the plaintiff had a significant impact on his life. The number of incidents also complicated the process of determining liability for each accident. Mr. Uppal’s physician testified that each of the collisions worsened the plaintiff’s energy level, memory, concentration and ability to perform sustained work. The plaintiff was given a poor prognosis for recovery and was expected to suffer indefinitely from chronic or at least, intermittent symptoms for depression, anxiety and post-traumatic stress disorder. Mr. Uppal attended countless psychological treatments, including cognitive behaviour therapy, but these have had limited positive results. In 2015, a physician assessed the plaintiff and stated that Mr. Uppal’s prospect for any gainful employment is essentially non-existent and it is unlikely that his musculoskeletal symptoms will improve. In a determination of damages for the four accidents, the judge was challenged with having to separate the victim’s losses resulting from his pre-existing injuries, since a defendant is only liable for injuries actually resulting from a specific accident. However, a defendant can be held liable for causing a plaintiff’s injuries to become more severe than if the accident had not occurred. This involves applying the ‘but for’ rule in causation (i.e. “whether the plaintiff’s damages would have been incurred on a balance of probabilities”). In Uppal, the judge concluded that the plaintiff’s injuries resulting from the four accidents are divisible from those arising from his earlier accidents, but “it is difficult, if not impossible, to separate out which of the subject accidents caused or contributed to which injuries”. The medical experts agreed that each subsequent accident exacerbated his pre-existing lower back, neck and shoulder problems, as well as his psychological symptoms, including PTSD, and all of the plaintiff’s symptoms worsened after each accident. The judge awarded the plaintiff $273,630.14 in damages, plus legal costs, for his losses resulting from the four accidents. Assessment of damages included $65,000 in non-pecuniary damages (for pain and suffering and loss of enjoyment in life), $125,000 for past lost income, $75,000 for future wage loss, $3000 future care costs, and about $5630 for special damages.